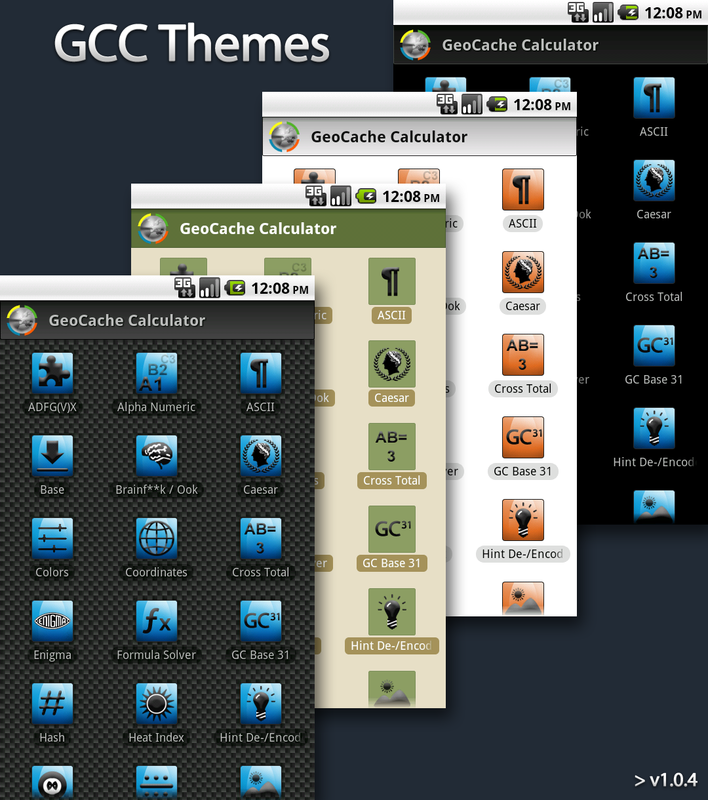 The GeoCache Calculator is a comprehensive tool for every active cacher! It contains different functions to calculate values and checksums, as well as tables and overviews for supporting your outdoor geocaching search. A tool which no cacher should miss! 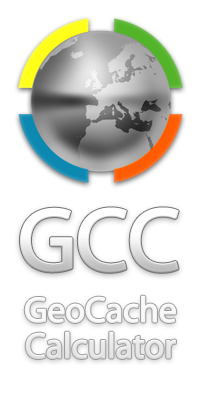 If you want to write an review, news, text or some other text about or for GCC, you can download the original graphics here. Please always set a reference note. The graphics stays in our owneship, but are free to use for GCC realted content. For questions please send us a Mail before! 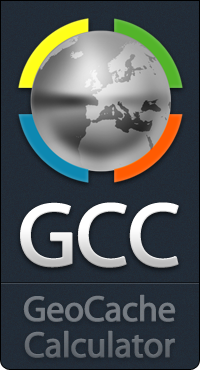 Become a fan on facebook, google or follow us on twitter and share GCC with your friends! For help, questions and other things: contact me! You like it? Donate for the developer! Copyright 2019, all rights by Eisbehr.de.